Have a number of voice memos on your iPhone? 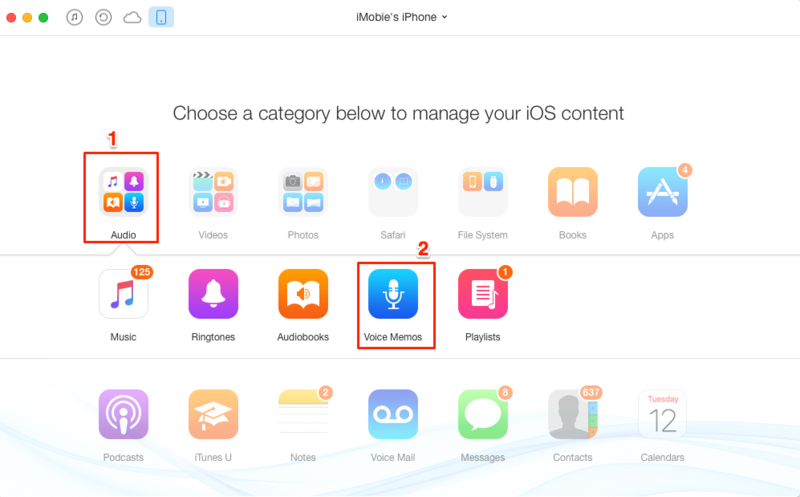 Want to know how to get voice memos off iPhone? 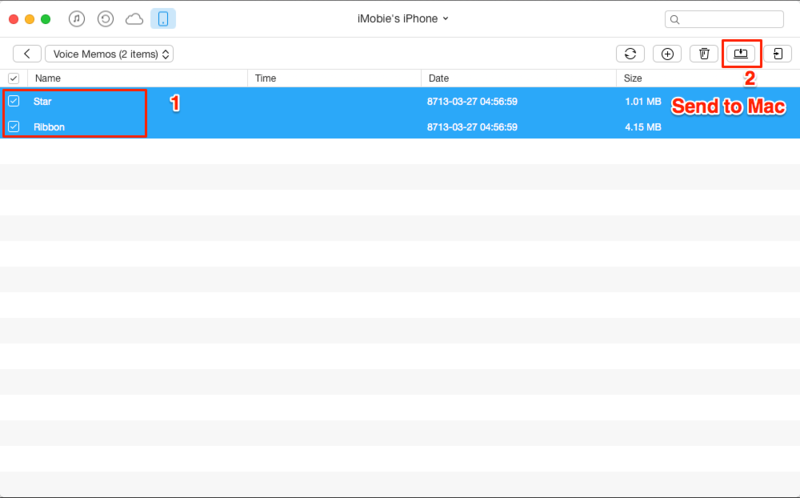 Now in this iMobie guide, you will find an easy and quick way to extract voice memos in 3 steps. Download AnyTrans to get voice memos off your iPhone onto PC, Mac and iOS device. 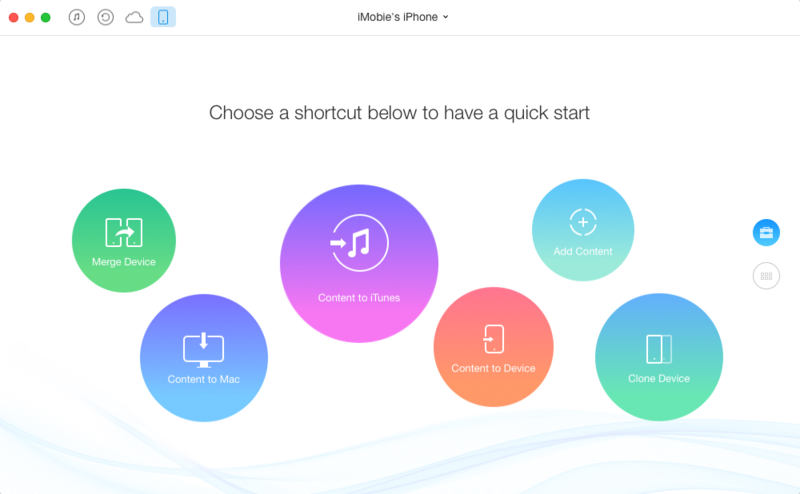 It supports iPhone 6/6s/5/5s/5c/4/4s/se and iPad/iPod. "Hello, I am wondering how to get my voice memos from my iPhone 6s to my computer? I have about 50 voice memos on my phone, and some of them are 20 minutes and I can't simply email them. So I want to get all my voice memos off iPhone to keep a backup on my computer, anyone can help?" There are many iPhone and iPod users are asking the same question: How can I get voice memos off iPhone/iPod? Voice Memos is a voice recorder for the iPhone and iPod, you can record any audio you want, like capture a conversation, a memo, a meeting, etc. So if you have a number of voice memos stored on your iPhone, and want to move them to computer as backup, here you can get an easy and quick way to make it. Now read on this post to get the answer. 4. An iPhone content manager-AnyTrans, which helps you to get voice memos from iPhone to computer or an iOS device. And you can also use it to get voice memos off iPhone backup onto a computer. Step 1. Download and install AnyTrans and open it on your computer, and link your iPhone to computer with its USB cable. Step 2. Swipe down to another interface > Click Audio > Then click Voice Memos. Step 3. Choose the voice memos you want to get off your iPhone, then click Send to Mac button to start transferring. Note: Besides getting your voice memos from iPhone to computer, AnyTrans also allows you to transfer voice memos from iPhone to iPhone/iPad. And if you lost your voice memos accidentally, this tool also helps you to extract voice memos from iPhone backup on computer. Yes, it is quite easy and quick to get voice memos off iPhone with the help of AnyTrans. You can install it on your computer to transfer & manage your iPhone content. Any question on this guide or AnyTrans is warmly welcomed, meanwhile, don't forget to share this guide with your friends.